It was 94 years ago tonight that Billy Boucher scored the first NHL goal in the history of Montreal’s formerly august Forum: it took the Canadiens’ winger just 55 seconds on the night of Saturday, November 29, 1924, to beat Toronto St. Patrick’s goaltender John Ross Roach. Boucher came back for more, too, completing a natural hattrick early in the second period as Canadiens went on to win the night 7-1. 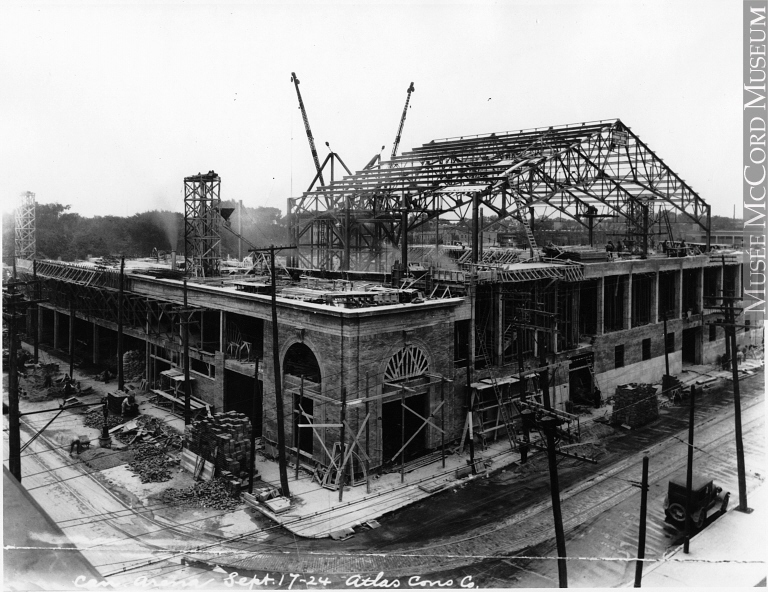 Built in five months at a reported cost of a $1,000,000 — some $14.7-million in modern-day dollars — the Forum wasn’t, in fact, Canadiens’ primary rink in 1924 — they made their main home at the Mount Royal Arena until 1926. It was Montreal’s expansion team, eventually known as the Maroons, who were the key tenants that first year. Still, Canadiens got first crack at the Forum’s new artificial ice, and in getting that — well, as the Gazette reported, “two records tumbled.” The crowd of 9,000 was the largest ever to witnessed a game in the city which had, additionally, never seen a professional game played so early as November. That wasn’t necessarily a good thing, in the newspaper’s view: “As might be expected of hockey in November, the game was not a good exhibition,” their correspondent was sorry to say. In the words of Cleghorn, “quite by accident,” the tip of the stick of the falling player caught Odie in the eye and he had to be assisted from the ice. Medical examination showed that the under part of the eye lid had been cut, but that the eyeball had only been bruised. 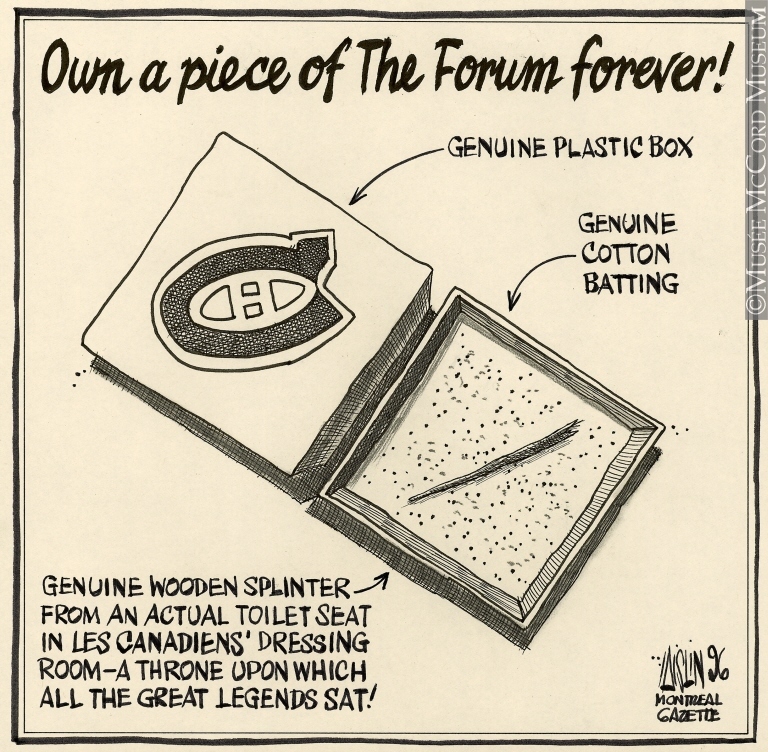 Sale Away: Canadiens played their last game at the Forum on March 11, 1996. Next day, the building hosted a public auction of famous bits and pieces, fittings and fixtures — possibly, also, an authentic splinter or two.